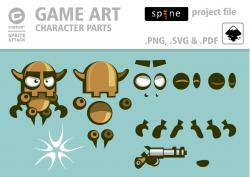 This is the charactersheet of the SuperBoxBot robot used in my "complete game art tutorial" at 2Dgameartguru.com. 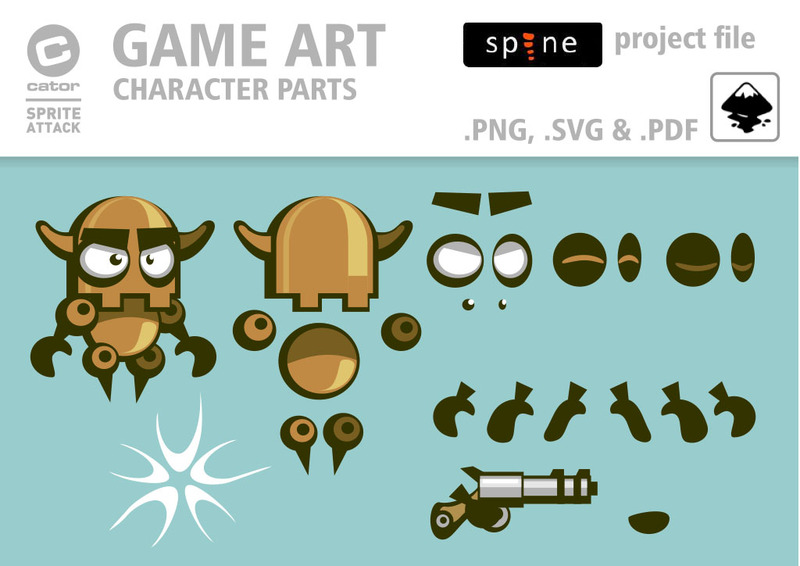 I included the inkscape (svg and pdf) source files, the separated parts as png and a spine project. Thanks a lot for the tutorials as well as the artwork. I have no artistic skills, but I'm trying to learn to create some simple drawings in inkscape. Your tutorials are very much appreciated. I would like to thank you alot i started learning vector game art only from your blog 3 years ago and didnt even need to look anywhere else for tutorials i was searching for game art tutorials for programmers and ur Blog had all what i needed for guidlines.